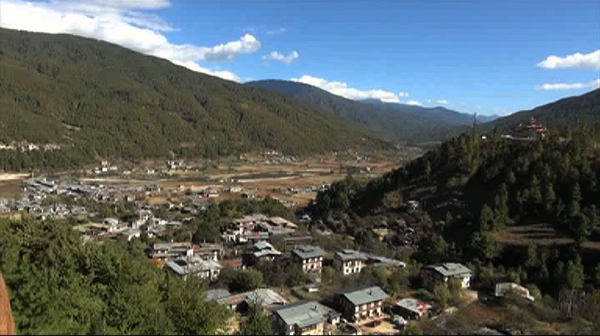 Even after several fire disasters in Chamkhar town of Bumthang, there is still nothing substantial in place to prevent such incidents in future. The residents who live with harrowing memories of past fire incidences say it is worrying without enough fire disaster prevention measures in the town. The Chamkhar town saw four fire disasters in the last six years from 2010 to 2016. The most recent one in December 2016 destroyed six houses in the town. Also, the fire incidents have wiped out the businesses of some of the shopkeepers twice. Although, the houses have been rebuilt and people carry on with their lives, as usual, the fear and the memories of the fire incidents still lingers. “As winter approaches, we worry more due to our past experiences. When we hear someone shouting in the neighbourhood, we fear that a fire might have broken out somewhere. Although there are fire engines, we feel that it would be beneficial for us if there are fire hydrant systems set up along the drinking water pipelines to control the fire if such incident occurs,” Choney Dema, a shopkeeper, said. “The fire victims here always fear that the worst could happen to them again. If the town is equipped with proper fire prevention mechanisms and with training to the people it could be helpful in future,” Ugen Sangay, the Thromde Ngotshab, said. At present, there are only two fire engines in the Bumthang Police Fire Brigade. There are also two water tanks built to fill up the fire engines during emergencies. Meanwhile, the Bumthang Dzongkhag Administration has proposed for construction of fire hydrants and a water tank in the town in the 12th Plan. There are also plans to procure firefighting equipment and extinguishers. A circular, reminding offices under the dzongkhag of fire safety was sent last month. A fire disaster mock drill is also expected to be conducted soon.